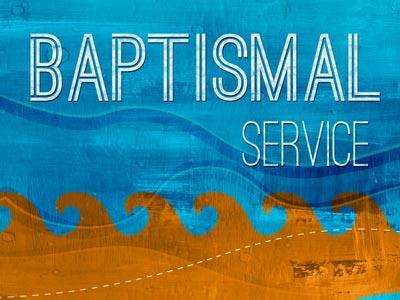 When Repentance & Baptism Is A Must! Summary: Repentance not popular word anymore. Then Peter said to them, “Repent, and let everyone of you be baptized in the name of Jesus Christ for the remission of sins; and you shall receive the gift of the Holy Spirit. It’s really our joy to come together for us to have a wonderful time with the Lord. I believe God has a purpose why we are all here this afternoon. Our being here is not an accident but with a purpose and that is to worship and glorify God and to learn from each other! As Christians, we know that every Sunday, we should come together in the House of the Lord to Worship Him. Our week will be weak and will not be complete without celebrating Sunday as a special day of remembering and thanking God because of His love and faithfulness to us. One of the most forgotten word nowadays is the word repentance. It is very hard for people to accept that they did something wrong to repent. People tend to look at themselves as good enough so what is repentance for. “I am a good person, I don’t drink, I don’t smoke, I don’t gamble, I don’t hurt other peoples feelings, I love my job, I love my family, I pay taxes and I don’t cheat. I go to church once in a while. I pray whenever I need to. I am a peaceful citizen.” And that’s it. Normally that is what most people think of themselves nowadays. That is why churches are decreasing their memberships because others are tempted to think that they don’t need God anymore. Remember the words from Isaiah 64: 6 “But we are all like unclean thing, and all our righteousnesses are like filthy rags; we all fade as a leaf, and our iniquities, like the wind, have taken us away.” Kabutihan natin para lamang maruming basahan! The Bible says, we all have sinned and there is no one righteous except Jesus Christ. Therefore we all need to repent. We all need to realize and recognize that we need to come to the Lord Jesus to ask forgiveness from all our sins and iniquities. God knew our weaknesses and our tendency to be tempted to live a sinful life, that’s why He gave His only Son Jesus as a ransom for us. We need repentance if we think we can live this life on our own and do our ways not recognizing God in our midst. We need repentance especially if there were times we lose faith and trust in Jesus Christ. We need repentance if we believe too much on ourselves that we are only the best and able. We need repentance if we try to look down on others and look at highly on ourselves. We need repentance if we fail to do what is right. Much more, we need repentance if we do what is wrong. Apostle Peter’s preaching is for all people from all walks of life. The Spirit led him to preach about repentance… and baptism will follow in the name of Jesus Christ. 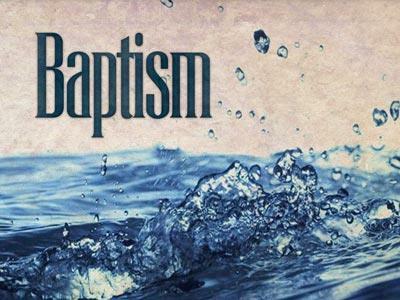 After a person have repented from his/her sins and receive forgiveness from sin… what follows is the baptism in the name of Jesus Christ. 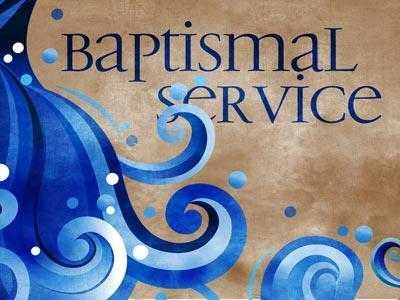 Baptism is the outward declaration of inward cleansing. It is like telling everybody that God has done something in your life that you want the congregation to know. But I tell you, there is a corresponding responsibility for doing that. If you do that, you must be very careful and sensitive that you live your life worthy of Christ. Repentance not popular word anymore.